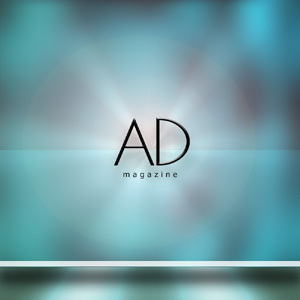 AD MAG is an online magazine documenting the creative developments of artists that work exclusively in the digital realm, as well as those creative persons who fall into the TADAE fine art subset. With the mission of this publication being to present an accurate representation of the professional aspects still emerging in these fields — particularly as it relates to private and institutional collectors. AD MAG also serves as a forum for discussions related to the tools and technology of contemporary media and anthropologies. AD MAG is published by artist|inventor Max Eternity. I came to this site to view the interview with Danlo Lejardi, one of my favorite digital artist. I have discovered a jewel. This magazine is excellent, just went into my favorites. I was brought to your site because of your article on Rob O’Neill. I currently intern at Harvestworks Digital Media Arts Center in NYC. We’ve been around for over 30 years working with artists and musicians that are interested in working with technology (http://www.harvestworks.org/index.php?option=com_content&view=article&id=325&Itemid=130/). We are currently looking for ways to get more people involved with our institution through classes, projects, etc. I didn’t know if you’d like to feature Harvestworks in an article, consider syndicating our RSS feed, or linking to us in your links section. Please let me know if you’d like any more information, or to continue this discussion!